TallTal here, but you can just call me Tal! I am a teacher, a leader, a truth speaker, a motivator, and a world changer. I’m here to spread the TALvolution so go ahead and hop on board! I am a believer in potential… unlimited and untapped potential in all people. As a teacher, I get to ignite and unleash that potential in CHILDREN every day. My students interact, learn, and achieve beyond their wildest dreams. They develop a true love of learning. They learn that nothing good comes without hard work. They learn that good grades are earned – not given. My students know that the way to true greatness is embracing adversity, seeking out struggle, and finding joy in overcoming obstacles. As a speaker, I get to ignite and unleash the potential in GROWN UPS. Participants leave inspired to produce change, upgrade their level of production, and aid others in reaching their true potential greatness. I take great joy in helping others find that belief in themselves and watching them leave amped to inspire others! The real world needs people that can collaborate effectively with their peers. The real world needs people that have the passion and desire to creatively solve problems. The real world needs people that can critically think through the most complex situations. The real world needs people that can effectively communicate with each other. Confidence is what ties this all together. Without true confidence, people cannot effectively do any of these things. I am creating truly confident kids in my classroom that will go on to do amazing things in the world. I teach others how to do this in their classrooms. I teach others how to do this in their homes with their own kids. It is never too late to cultivate confidence. I work with organizations and corporations to facilitate confidence to an under performing workforce too. Cultivating confidence in the world is at the core of my life’s mission. I believe we can have all the greatest advances in technology and still have kids achieve their highest potential. And even crash and soar through that ceiling. I believe that teachers can be empowered to both meet academic standards as well as produce students that can rock out in the real world. I believe that business leaders can cultivate and inspire confidence and empower and fire up their workforce. Most importantly, I believe that we must seek greatness from ourselves and those around us. That only comes with a cultivated belief in yourself and a trust network with those around you. This belief system has taken over everything I do as an educator, speaker, and trainer. It fuels me to lead the charge for change. LET'S BRING CONFIDENCE BACK. LET'S CHANGE THE WORLD! Tal Thompson is an award-winning, National Board Certified, passionate, and energetic teacher. As a nearly twenty year teaching veteran, Tal has seen many changes in the education world since he began teaching back in 1998. Through all of those changes, he has evolved into one of the most engaging teachers around. 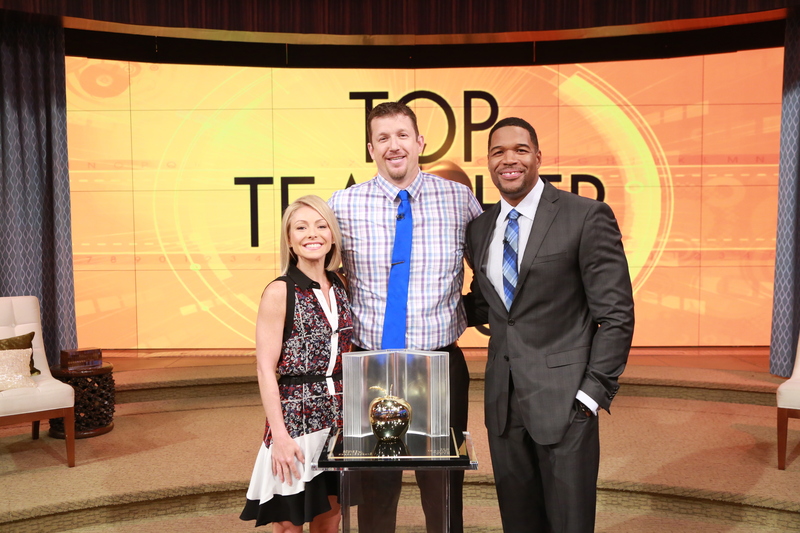 Tal was a finalist for the 2015 America’s Top Teacher award on the Live with Kelly and Michael show. Tal recently received the Citizen Education Elementary Teacher of the Year award for the state of South Carolina. 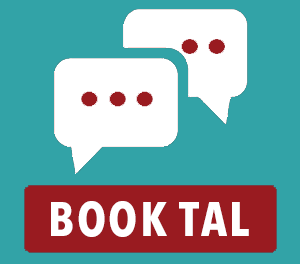 Tal currently teaches fifth grade at Stone Robinson Elementary in Charlottesville, Virginia. It is here that he invests so much time and energy into what he believes to be our greatest natural resource… children! Tapping the potential in every student is at the core of his teaching philosophy and vision. He has achieved his success through creating a classroom environment that nurtures confidence, camaraderie, and accountability within each and every student. When he’s not creating future leaders, he can be found hanging with his wife and two amazing young sons.